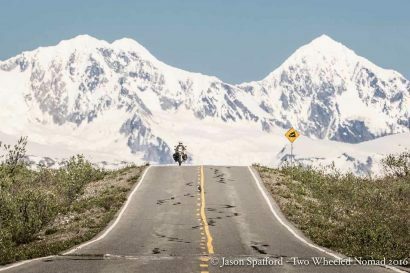 Editor’s Note: This article was originally printed in Overland Journal, as was the announcement of the intended journey and vehicle. 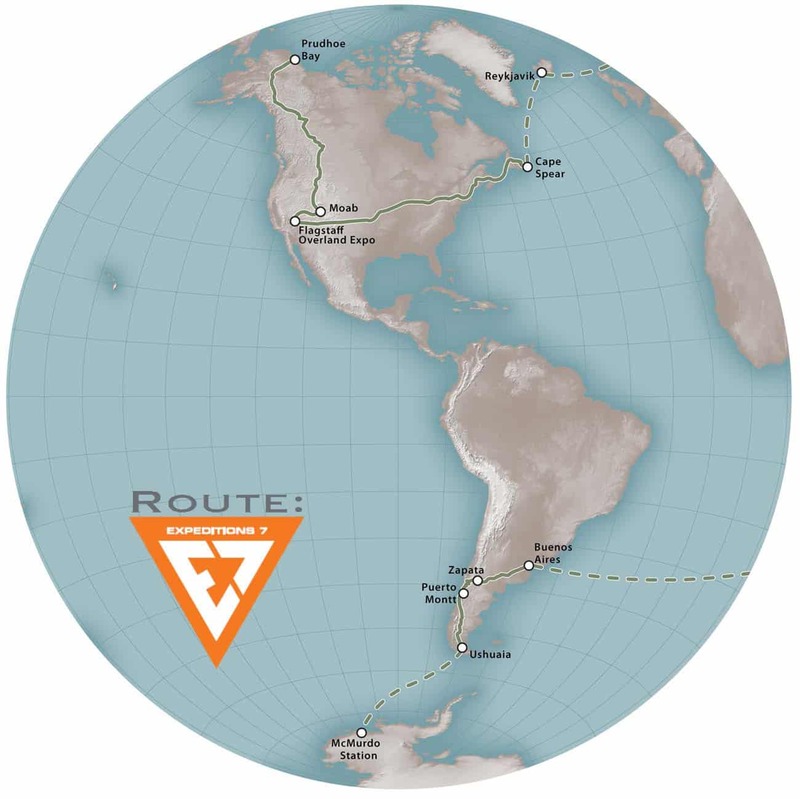 The trip was completed in 2014, successfully reaching all seven continents. Final details varied slightly from this announcement and the tense reflected future events. Look for the entire article series in the coming months on Expedition Portal. 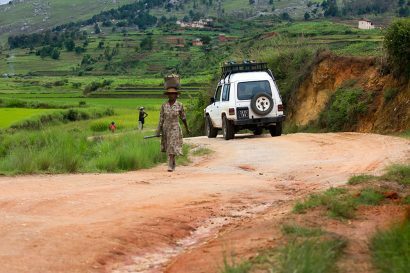 In early 2007 I mapped out what I considered to be the ultimate overland adventure—to travel around the world and to all of its continents. I documented nearly every stage and formed the initial logistics and costs—then I waited. As with many of life’s goals, I needed to wait for the best timing, or in this case, the best partner. Fast forward to summer 2011, and a casual conversation among friends in the backyard of Paul May, owner of Equipt Expedition Outfitters. 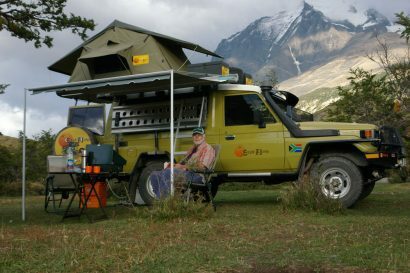 I had invited Greg Miller, a friend and Overland Journal subscriber that owns the Land Cruiser Heritage Museum (landcruiserhm.com), and loves adventure travel. In my conversation with Greg, I asked him what adventure he wanted to do next. His response, “I want to take a Land Cruiser around the world.” I shared a few of the details of my seven continents concept, and we planned to meet for breakfast the next morning. Over breakfast and a subsequent meeting, we each shared our personal goals for a trip of this complexity; by the end of the conversation we found that we were completing each other’s sentences. It was agreed that now was the time. We wanted this to be purely about the adventure, without the complexities of third-party commitments. No compromises meant we would need to do it without sponsorships, made possible because of Greg’s financial underwriting. Greg would also serve as the Lead Adventurer, and I would manage the undertaking as Expedition Leader. The first, and most difficult ‘no compromise’ scenario was the vehicle selection, and Greg wanted to do it with a Land Cruiser. We both agreed that the ultimate Land Cruiser to drive around the world was the 70 series, examples of which we had each traveled with extensively. In addition, Greg and I had both raced the Outback Challenge (2011 and 2006 respectively) in these vehicles and were confident of their reliability and durability. The question that begs to be asked is, “How do you buy a VDJ78 in the U.S.?” The short answer is that you cannot. Greg proceeded to purchase the vehicles directly from Japan, and we registered them in New Zealand. The trucks will be in Arizona and Utah for a short period of time, just long enough to be modified and tested. 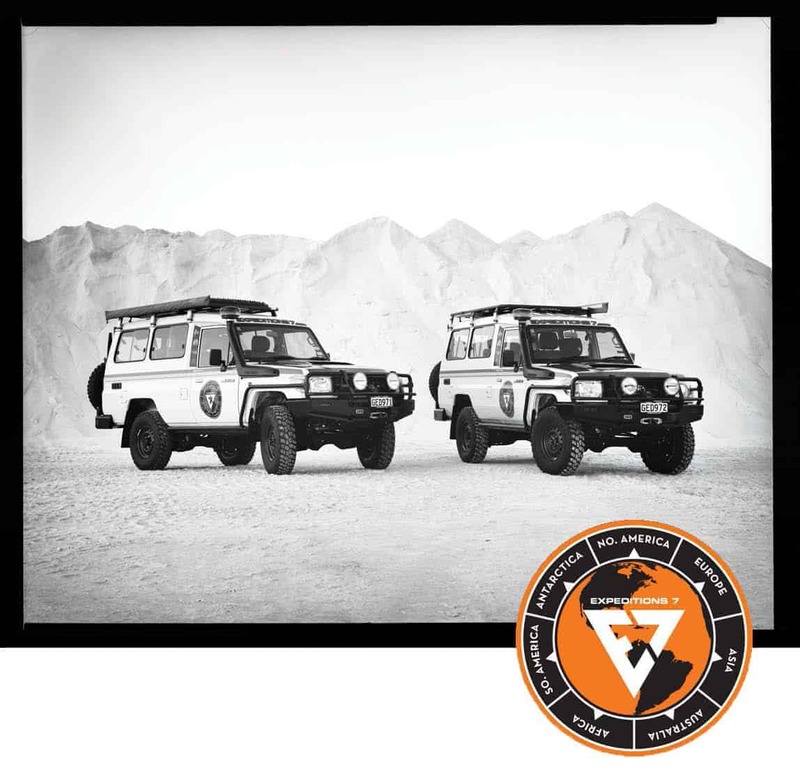 From Utah we’ll drive them to the most northern point of Alaska to begin the first leg of Expeditions 7—from Prudhoe Bay to the 2012 Overland Expo in Arizona. From OX12, we will turn the wheels northeast, to Cape Spear on the easternmost edge of Canada. 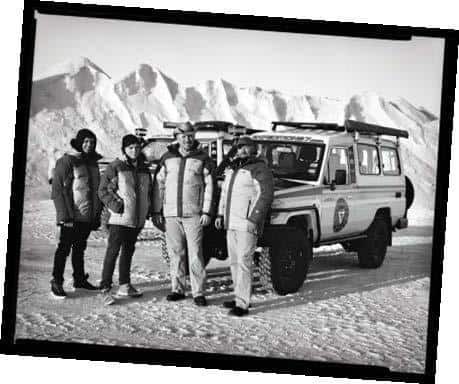 From Canada, we will ship to Iceland and meet with the team at Arctic Trucks for crevasse training, and to utilize their specially prepared Land Cruisers to cross the largest glacier in Europe, Vatnajökull. After the glacier crossing, we will drive the expedition Land Cruisers around the island, crossing the desolate arctic desert at its center. From Iceland we’ll accompany the trucks to Scandinavia, via a ferry crossing, and drive to Nordkapp, considered the northernmost road in the world. After making our way south through the Baltics, we’ll have the vehicles serviced in France before making the long drive across Russia from Saint Petersburg to Magadan. 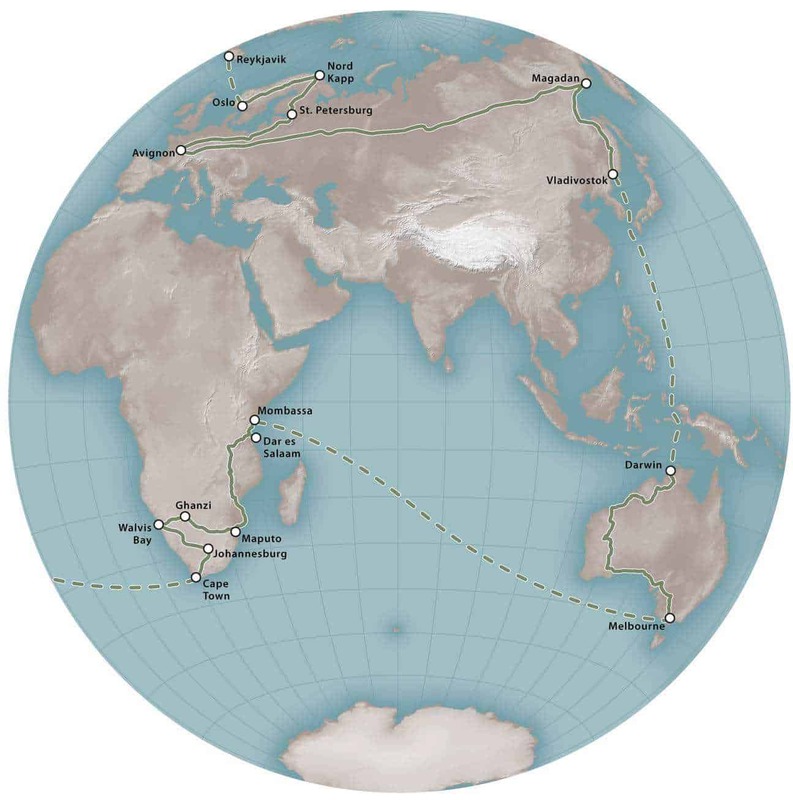 For the Oceania segment, we will ship the vehicles from Vladivostok, Russia to Brisbane, Australia and traverse the Canning Stock Route, considered by many to be the longest unsupported overland route in the world. We will also explore Australia’s barren red center en route to Melbourne, where the vehicles will again receive a complete inspection and servicing. From Australia, the vehicles will be loaded on another container ship and sent directly to South Africa, to cross the Dark Continent of Africa to Namibia’s Skeleton Coast and the port city of Walvis Bay. After Southern Africa, it is off to Antarctica and a crossing of the continent. We’ll pick up the journey, and the Land Cruisers, in Buenos Aires, Argentina. After crossing over the Andes, and ultimately Ruta 40, to Ushuaia, the southernmost city in the world. With South America complete, the team will travel to Antarctica and a fitting end to a round-the-world adventure.